Altamira Fine Art Jackson is pleased to present a two- artist show featuring Thom Ross and Travis Walker, October 9-21, 2017. Please join us for an Artist Reception during the ArtWalk Thursday October 19, 5-8pm. 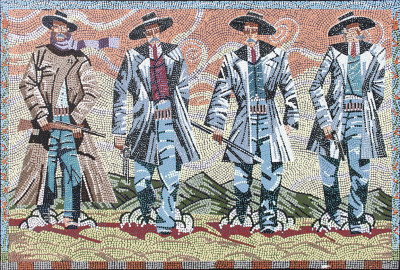 Ross’ latest work highlights historical figures and Western mythology using a variety of media, including mosaics and peices with sculptural elements. Walker’s familiar scenes of the Jackson region are given fresh life with bright color and contemporary styling. Pre-sales available. Call (307) 739-4700. Thom Ross was born in San Francisco, California, in 1952, and raised in Sausalito. He earned a degree in fine arts from California State University/ Chico, in 1974. 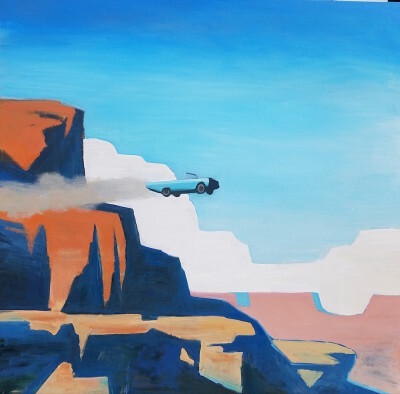 Ross’ goal as an artist is to portray iconic American people and events in new ways in order to bring out a more complex story than the traditional historical myths. 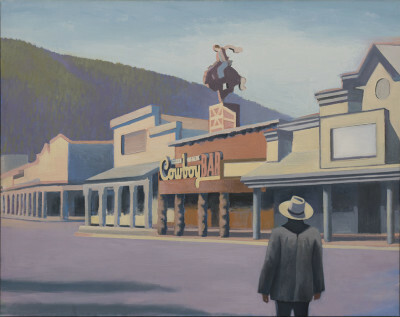 Ross works in various media including paintings, book illustrations, and “installation artwork”with life-sized recreations of historical scenes. 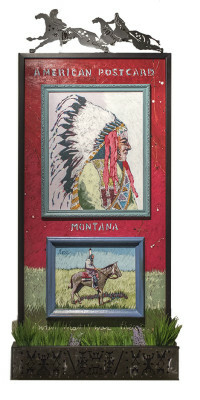 Ross’ paintings are in private and public collections throughout the United States. He is the author and illustrator of the book, Gunfight at the O.K. Corral in Words and Pictures.In 2002, Ross illustrated the 100th anniversary edition of The Virginian by Owen Wister. He currently lives in Santa Fe, New Mexico. 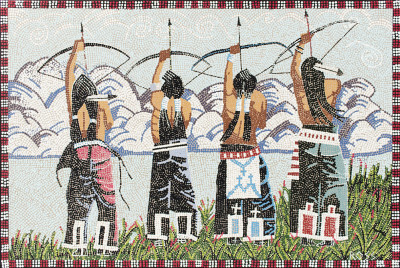 Travis Walker is a contemporary artist whose work has appeared in The Guardian, Forbes, Southwest Art, Mountain Living, Images West, Range, Greenwich Living, Jackson Hole Magazine, and Painters of Grand Teton National Park. Travis is the founder of the nonprofit Teton Artlab, an artist residency program based in the Greater Yellowstone area. He studied Painting and Printmaking at Virginia Commonwealth University and the Tyler School of Art. 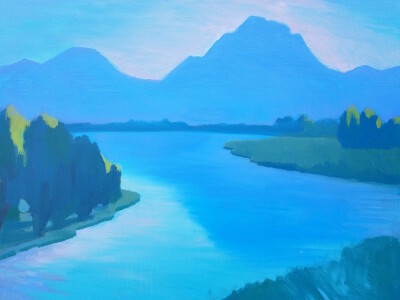 For the last ten years, Travis Walker has made landscape paintings about Jackson Hole, a place that never ceases to inspire him to pick up his brushes. He works on location, capturing the essence of the seemingly mundane scenes around town: a morning on the Elk Refuge, a decaying house with a fence made of skis, a vintage trailer park. His work is influenced by the work of American regionalists Edward Hopper and Grant Wood, Japanese printmaking, and German Expressionism.